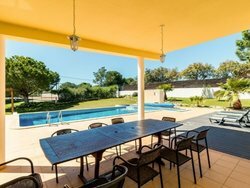 Magnificent 5 bedroom contemporary style villa with stunning private swimming pool set in mature landscaped gardens in the sought after area of Albufeira close to the beach, golf courses and amenities with parking space for 8 cars, tennis court and only 30 minutes from the airport. 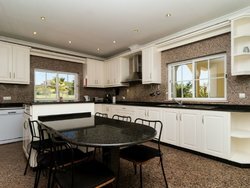 This luxury property is fully furnished to a high standard and the bright and airy accommodation comprises inviting hallway, 2 reception rooms, fully fitted modern kitchen, office, 6 bathrooms and ample storage. 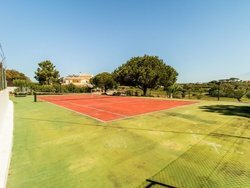 The property benefits from many unique features including built in barbecue, feature staircase, extensive terraces, al fresco dining area and large tennis court set in beautiful gardens in a quiet location.